On our last look of the #WindhamProject we are looking at the rifle chambered in the 7.62x39mm round with the AK magazine. I am enjoying working with Windham on the project and learning all the cool features of the rifle that makes it an AWESOME investment. The #WindhamProject is a Windham Weaponry RMCS-4 AR which is chamber in 5.56, .300BLK, 7.62x39mm, 9mm and .22lr. We have grabbed some of the most awesome parts of the gun industry to help us better customize this rifle and show you how you can turn this rifle from something awesome to something EPIC and drool worthy at the range. By Atticus | November 3, 2016 - 5:00 am | November 2, 2016 #WindhamProject, .30 caliber, 2016, 7.62x39mm, AKs, AR Platform, CMMG, First Impressions, First Look, Gun of the Day, Magpul, Muzzle Devices, Preview, Products we like, Range Day, Review, Semi-Auto, SHOT 2016, SHOT Show, Video Tuesday, Videos, WANT! Have you shot this gun? What is your take on the gun? Today we look at the #WindhamProject chambered in .300BLK. Watch while Atticus gives his first impressions of the gun in .300 AAC Blackout. The awesome family over at American Weapon Systems sent me the ZA-15 4 years ago. I can’t help but share how much I love this rifle with everyone who gets near the gun. The lack of recoil is unlike that of any AR I have ever used. Don’t believe me? Go pick up a custom AR from AWS and see for yourself. AWS 16″ Mid-Length LW-50 Stainless Steel Barrel 1:8 Twist Polygonal Rifling, With .223 Wylde Chamber. This week on Cool Guns of The Internet: Today’s post is brought to you by The 9×19mm Parabellum and the interesting rifles that shoot it. If you have a firearm you would like us to post in next weeks CGI all you have to do is send us a picture of your firearms via email, at “pictures@gearsofguns.com” and we’ll post it! But tell us what the firearm is and for more flavor, tell us a story about the gun like a funny hunting trip, or a sentimental story about the gun! Make it as detailed as possible! And let us know who you are if you want photo credit! TFB TV reviewing the Magpul D60. What are your thoughts on the this drum mag? Worth the money or just another high priced toy? Having a belt fed rifle sounds awesome doesn’t it? While everyone else is having to constantly change out magazines every 30 rounds or so, you are able to just keep slinging lead down range to your hearts content. Who wouldn’t enjoy that feeling? Until recently, you would have to cough up the dough to purchase a machine gun to enjoy such pleasures. And you know the cost of firing it would add up quickly; even .223 can cost quite a bit when you are shooting a couple thousand round. Because, let’s be honest, you’re not going to want to stop after a couple of boxes. Recently there has been a trend of semi-auto only “machine guns” being released. We recently reviewed one here by Ohio Ordnance. 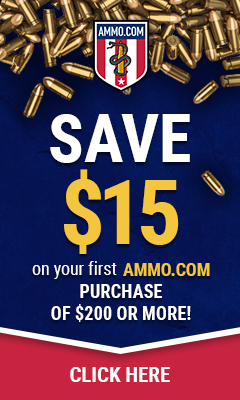 And while they are cheaper and easier to purchase than their full auto counterparts, the high cost for the firearm and the cost of ammo will quickly take its toll on your wallet. Freedom Ordnance has released what they believe to be the solution to this problem, with their FM-9 belt fed upper receivers. You can just take any AR15 or M16 lower that you currently own, and attach their complete upper. You now have a belt fed 9mm in your hands and the world’s largest grin on your face. At a much cheaper cost of entry and the relatively cheap cost of ammunition, this seems to solve all problems of purchasing and owning a belt fed firearm that previously came with owning something this unique. Additionally, if you choose to purchase the Elite model, or elect to upgrade to it at a later date, you have the ability to quickly change the barrel. While this may not seem like it would be an important feature, it will save you a lot of time waiting on your barrel to cool off. It will also help to extend your barrel’s life if used properly. Now let’s just be honest here, you are not going to be shooting this slowly! You will get this in your hands and want to throw ammo downrange as quickly as you can. That’s whole purpose of owning a belt fed; shooting fast and not having to reload every 30 rounds. If you own a M16 lower or a drop in auto sear, this will be easy. Just thrown it into full auto and enjoy. If you are not fortunate enough to own one of those, don’t worry. This is still fun to shoot in semi auto, but I would recommend looking to purchase a binary trigger or a slide fire stock to simulate the full auto experience. The other thing that you will want to look into purchasing would be a quick linker. It is not necessary for the complete firearm to function, but will save you a lot of time and is well worth the investment. I know what you may be thinking, “this sounds great and all, but what is the catch? There has to be something wrong with it.” Well the price is still a little higher than I would expect at about $1300, but this is still much lower than the other belt fed options. 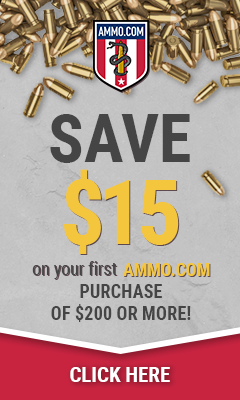 And while Freedom Ordnance website does state that only certain ammunition seems to work well, the 9mm is still a relatively cheap round to fire. The biggest drawback that I have seen for this system, is that when it comes time to purchase a new barrel (unfortunately, shooting fast you will probably go through barrels very quickly) you will have to buy Freedom Ordnance barrels and cannot select one from another manufacturer. This is to be expected, as nobody else has anything like this available. It also ensures that what you are putting on your gun will function as designed. For anyone looking for an exciting new toy for the range that is guaranteed to turn heads, I think does the trick. If you can’t afford something like the Ohio Ordnance 1919 or the FNH M249S, I think this is a great alternative. You still get the enjoyment of running a belt fed firearm, but at a much lower cost of ownership. Just throw some form of optic on it, and enjoy. This week on Cool Guns of The Internet. Today’s post is brought to you by the awesome folks at Smith and Wesson. If you have a firearm you would like us to post in next weeks CGI all you have to do is send us a picture of your firearms via email, at “pictures@gearsofguns.com” and we’ll post it! But tell us what the firearm is and for more flavor, tell us a story about the gun like a funny hunting trip, or a sentimental story about the gun! Make it as detailed as possible! And let us know who you are if you want photo credit! A few years back I decided it was time to purchase some new glass. I owned a rather out dated red dot. Among my list of musts, was to keep my red dot, but have the ability to zoom or magnify. I started looking and found magnifiers and EOtech. I wasn’t sold yet on what I had seen in the market. Finally, after a long search, light at the end of the tunnel. I saw the HAMR. My first impression was that this thing looks awesome! I pulled it out of the box and looked through the lens. It was crystal clear as I would expect any Leopold glass to look. The red dot was slim and low profile. I was happy with my purchase, without even mounting it. Let’s focus on the key things that attracted me to buy this scope over so many other choices on the market. First thing, it’s made for the AR platform in 5.56. Second is the combination of a scope and red dot in one. Finally, the quality and reputation Leopold has. My favorite feature has to be how the red dot turns on. It detects motion, so the minute you pick your gun up it’s ready to point, aim and shoot. No longer do I fumble for the switch or button. The scope has an illuminated reticle, which is a very useful feature. This is overall a rugged designed and quality product. I feel sure this is something that will last me a life time. We are really excited to take the CMMG Mutant for a test spin and see how it fairs up against an AR as well as an AK. The CMMG MK47 charging handle has it downfalls. We show you the size difference and how we come to that conclusion. Stay tuned as we bring more videos and reviews of this mutant rifle. This week on Cool Guns of The Internet. Todays post is brought to you by the awesome guys over at CMMG. If you have a firearm you would like us to post in next weeks CGI all you have to do is send us a picture of your firearms via email, at “pictures@gearsofguns.com” and we’ll post it! But tell us what the firearm is and for more flavor, tell us a story about the gun like a funny hunting trip, or a sentimental story about the gun! Make it as detailed as possible! And let us know who you are if you want photo credit! Ron with his CMMG MK4 and custom AR pistol. Awesome toys Ron! Yesterday we looked at the XPRODUCTS X25S for Video Tuesday which sent me back to when we had first become friends with James and the awesome Team over at XPRODUCTS. After that review came out, someone laughed at me for the sighting in comment, saying if you need 50 rounds to sight in a rifle you are the problem. Lets face it, how many of us have sighted in our rifle and said “hey, I have shot my 10 rounds to get sighted in now I don’t want to shoot anymore”? Once the rifle is sighted in, thats when the real fun starts. So why wouldn’t you loaded up a full 50 round drum for the “after party”? What is your take on the over 30 round mags on the market?